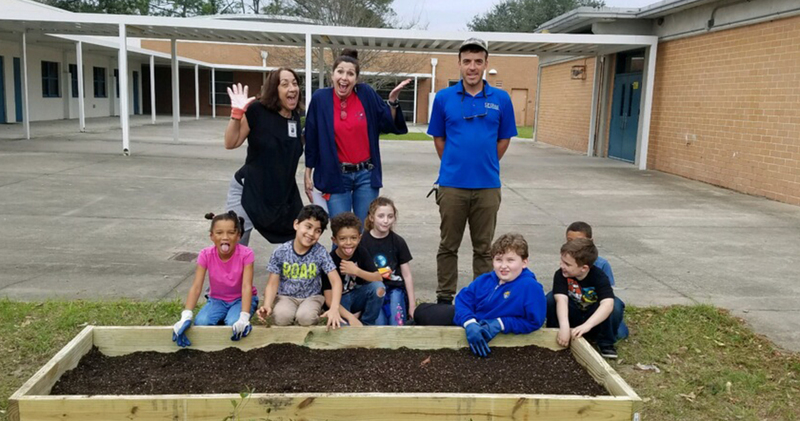 Plant Food ROCKS is proud to partner with Merrill Road Elementary School for our inaugural school garden project. Seeing as how the school’s tagline is “A Good Place to Grow”, we knew this was a divine connection. This elementary school serves students in grades pre-kindergarten to second. 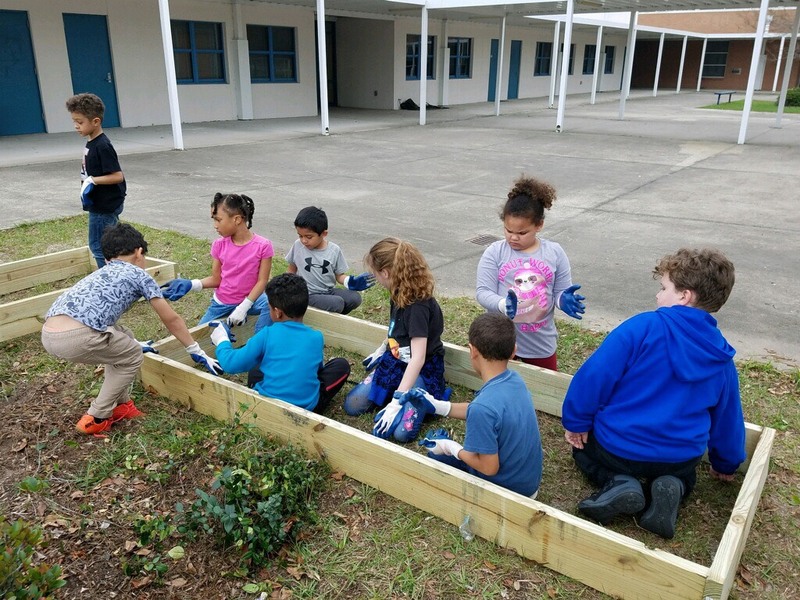 This is the perfect age to start this type of program because the sooner we can introduce healthy eating and the benefits of growing their own food to students, the better their chances of creating lifelong habits. The school’s property is a perfect location for a school garden project. It’s already equipped with several flower gardens that are currently maintained by the students in the garden club. The beautiful courtyard that students pass through daily is the ideal location to start an edible vegetable garden. We’re thankful to our partners at University of Florida’s extension office for supplying the supplies needed to get this garden started. Merrill Road Elementary School is a Title 1 school, which means they have a high concentration of students living in poverty. Of the approximately 723 students currently enrolled, 55% of them are eligible for free or reduced lunch. If you’d like to help us maintain and sustain this garden, we’d appreciate you making a donation. The funds will go towards the school’s garden club. Thank you in advance for your support.